Alcoholism is genetic and linked to brain chemistry. I have studied this disease for 26 years and believe that the dopamine neurotransmitter is responsible for the alcoholic's lack of satisfaction, focus, concentration, mood swings, boredom, motivation etc. If an alcoholic stops drinking they are still at risk of picking up a drink because their dopamine neurotransmitter is dysfunctional. Once they start drinking again, whether it is 2 years or 20 years of abstinence, THIQ, the highly addictive chemical substance already in the brain, reacts to the alcohol and the obsessive compulsive addiction continues. THIQ is a highly addictive chemical found in the brain of alcoholics and not non-alcoholics. It is irreversible in alcoholics and will continue to produce compulsive drinking whenever alcohol is ingested. An alcoholic can never return to social drinking. The relationship between gluten intolerance, alcoholism, and food addiction is well documented. Gluten consumption sets off a feel-good endorphin reaction when consumed by gluten intolerant individuals that can lead to binging and purging. Food compulsion is a chemical addiction, not just a behavioural problem of willpower. Food addicts suffer from altered brain chemistry: they may have low levels of serotonin and other feel good neurotransmitters, or they may suffer from protein malabsorption or inborn errors of metabolism. When people are low in serotonin, they crave carbohydrates, most especially ice cream or combinations of grains and dairy products, such as cereal and milk, particularly in the evening hours. Consuming these foods temporarily raises brain levels of serotonin. Food dependency can cause compulsive overeating, anorexia, bulimia, obesity, and it brings on feelings of depression and anxiety. There is a strong relationship between food addiction and chemical dependency. Because food addiction is a chemical dependency triggered by certain foods, avoiding these triggers is the cure. Eliminating sugar, which is as powerful as heroin, is a must; white flour, processed foods, and caffeine must also be replaced with nutrient-rich, organic, whole foods. Alcohol is a symptom of an underling problem. 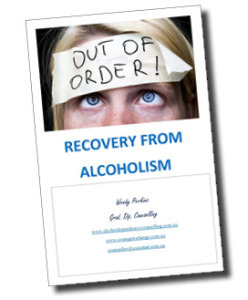 It could co-dependency or a myriad of other mental health issues that go undetected and often the alcoholic goes through life and dies without obtaining a professional assessment of his/her underlying problem. Only 6% of the population seek help for their alcoholism and an ever smaller percentage succeed in obtaining longevity because of the lack of education about alcoholism. They are not bad people, they are sick people and deserve to be treated the same as someone who has diabetes. A diabetic cannot process sugar through the pancreas; the alcoholic cannot process alcohol through the liver. Yet, there is still a stigma about alcoholism. It is a disease and should be treated like a disease, not a lack of willpower. Alcohol is a powerful energy source and reaches the blood stream, quicker than lollies. Some people get drunk after ingesting two drinks; some people can manage 20 drinks and still be standing. The dry drunk syndrome first described in 1962 is seen as irritability, aggressiveness, insomnia, fatigue and nervousness. Their body needs blood sugar stabilising support and high protein/low carbohydrate meals to sustain blood sugar. Niacin and the other B vitamins and minerals like zinc, manganese and chromium, stabilise blood sugar and mood and as such, are very important to reduce alcohol cravings. What is causing us to need or crave these substances? Well, our brains. Not our thinking, but our brain chemistry itself. Nobody talks much about brain chemistry and its correlation to alcoholism. Our brains consist of tiny chemicals called neurotransmitters. These neurotransmitters include epinephrine and nor-epinephrine, GABA (Gamma-Amino butyric Acid), serotonin and dopamine. They are closely tied to addictive behaviour and addictions to many of the above-mentioned substances. When in ample supply, these chemical neurotransmitters cause us to feel good…that wonderful feeling of well-being we all desire and strive to maintain. But when our neurotransmitters are depleted and/or are being re-absorbed by our brain’s receptor sites too quickly, we reach automatically for something that will make us feel better by increasing these chemicals. This can be achieved through many substances, and is especially true about alcohol, which is why alcoholism is so rampant in our society. It is a legal “fix” to our continuing feelings of restlessness, irritability and discontentment. But it is like putting a Band-Aid on an infected wound. We get our temporary fix through alcohol or prescription anti-depressants or that giant block of chocolate, the cause of the problem remains unaddressed. Alcohol is only a symptom of an underlying problem. Anyone can stop drinking – it’s staying “stopped” that’s the problem. More information about intervention can be obtained by contacting the writer at www.couragetochange.com.au or [email protected] for a specialist consultation to help you cope with a member of the family suffering with alcoholism. In the meantime, I would suggest helping yourself cope with the rigours of living with a practicing alcoholic by looking at supplementing your diet with an amino acid and a natural relaxant to help you sleep at night. Magnesium can be taken before bed to assist with a deep and restful sleep and helps to reduce stress. 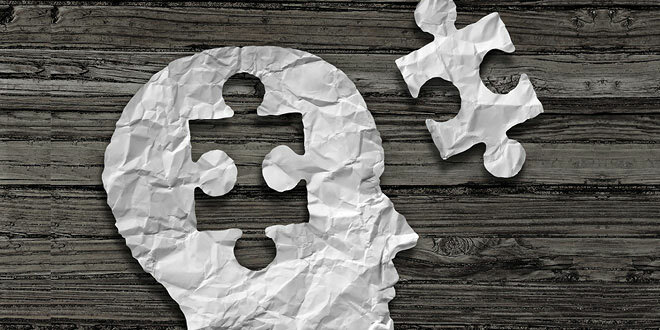 Tyrosine Mood Food is necessary for the manufacture of dopamine and noradrenaline, which are required for concentration, alertness, memory and a happy, stable mood. Blues Free is designed to support a better mood. Hydroxytryptophan is needed by the brain to make Serotonin which is the natural happy chemical produced by brain cells and has a controlling effect upon mood and feelings, appetite, sleep, confidence and mental energy. Sleep Eze is another useful sleep enhancer and I use it myself. Melatonin is best taken at night when the pineal gland is meant to secrete its own melatonin to promote a natural restful sleep and awake refreshed in the morning without that “sleeping tablet hangover”. I like it because it is not addictive. Everyday Stress Lozenges. These Everyday Stress Lozenges contain all natural passion flower petals to help you relax under pressure. A natural herb with relaxing and calming effects upon the nervous system, to help you perform under pressure without slowing you down. Adrenal Plus Support If you support the function of your adrenal glands, you have more chance coping with the everyday pressures of life. Many people suffer with morning fatigue and depression due to sluggish function of the adrenal glands. The adrenal glands are 2 small glands that are situated just above the kidneys and when they are working efficiently, they produce extra surges of energizing hormones such as cortisol, adrenalin and DHEA to help you face the challenges of the new day. In other words, the adrenal gland hormones increase your resistance to stress and provide the drive and energy to succeed.